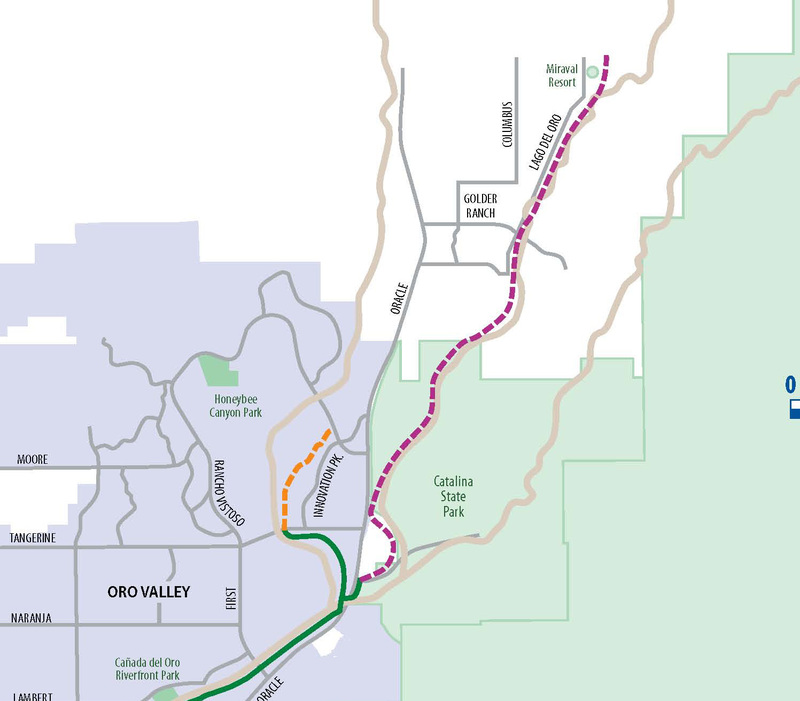 The Pima County Regional Flood Control District and Natural Resources, Parks and Recreation Department are developing a master plan that includes conceptual alignments of extensions of the Chuck Huckelberry Loop that follow secondary drainage systems of the major river system. Along the Santa Cruz River south of Valencia Road. The master plan also will address tributary washes to the major river system, including Arroyo Chico, Arcadia, Alamo, Rosehill, Ventana, Pontatoc, Finger Rock, Pima and others. Priority planning will be given to any tributary washes where there are either partially developed greenways or planned greenways. The development also aligns with goals set forth by the County’s Attractions and Tourism Department and Economic Development Office, which includes promoting Pima County and the Loop as a destination for those keen on outdoor recreation. On the economic development side, County officials also have found that the Loop has played a role in attracting employers to the region. Born out of the disastrous floods of 1983, the Loop began taking shape when Pima County taxpayers started investing their Flood Control District dollars in building soil-cement banks along the metropolitan waterways to guard against future flooding. The County took the opportunity to build along those overbank areas a river park system that has become one of the most popular recreational facilities in the region. 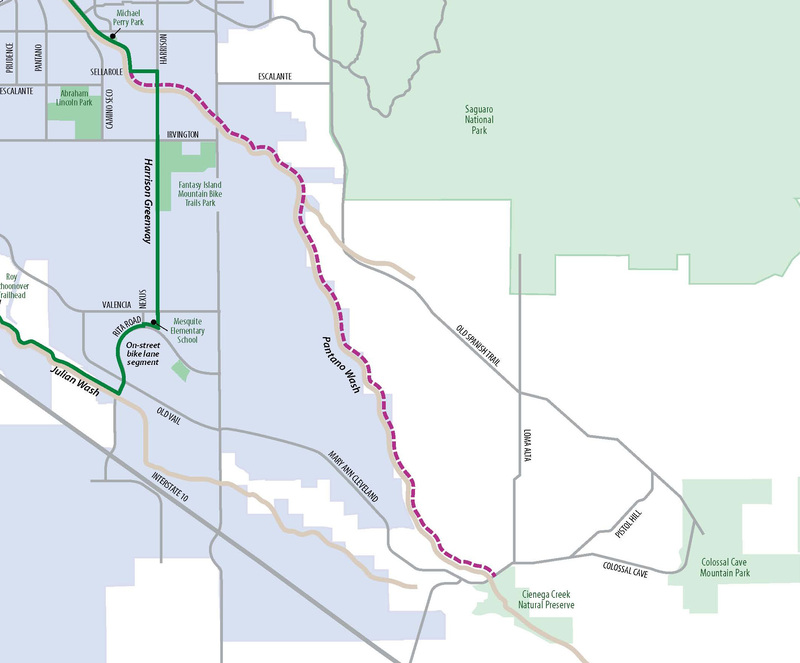 Today, the Loop is a system of paved, shared-use paths and short segments of buffered bike lanes connecting the Rillito, Santa Cruz, and Pantano River Parks with the Julian Wash and Harrison Road Greenways. It extends through unincorporated Pima County, Marana, Oro Valley, Tucson, and South Tucson. The connections are the result of Pima County's cooperative partnerships with these jurisdictions. 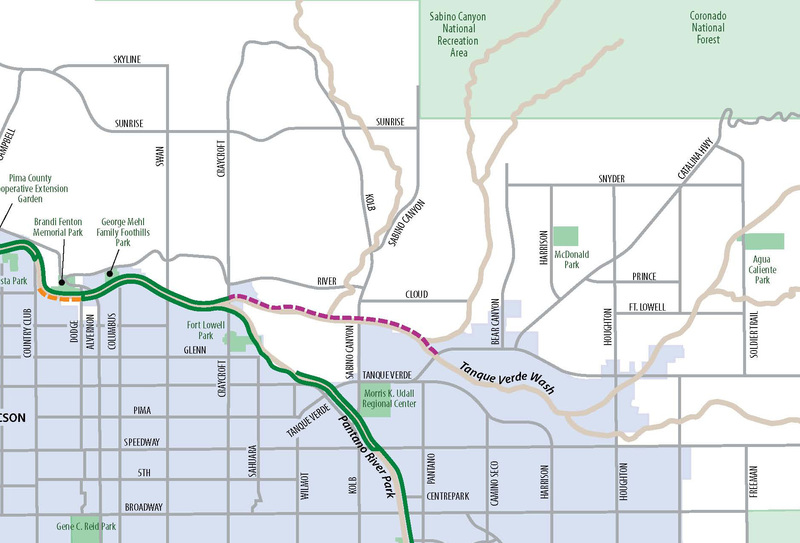 MAP: Mouse over the map to see extensions along the CDO, Pantano and Tanque Verde Creek.